SPH REIT’s FY18 DPU of 5.54 Scts in line. 4Q18 operating performance points to better times ahead, as Paragon delivers positive rental reversions. Spotlight to be shared between Paragon and newly acquired The Rail Mall, as potential acquisition of The Seletar Mall may be delayed by shareholding changes. 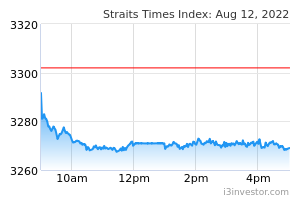 Maintain BUY with lower Target Price of S$1.04. We were previously too optimistic on the potential acquisition of The Seletar Mall. We believe that recent shareholding changes at United Engineers Limited (SGX:U04) (which holds 30% stake in The Seletar Mall) might infuse uncertainty on the timing and ability of SPH REIT to acquire 100% stake in the mall. As such, we have now stripped off contributions from the asset in our estimates for now, to be conservative. Despite this, we still see ample organic growth opportunities as improving rental reversionary prospects (particularly for Paragon) and value-add opportunities for The Rail Mall – which will deliver its first full-year contributions in FY19F - is set to drive DPU growth ahead. Our DCF-based Target Price is lowered to S$1.04 as a result, with further upside from acquisitions. Maintain BUY. Consensus is generally still cautious on the retail sub-sector, especially in Orchard. However, we believe that limited upcoming retail supply in the submarket and well-executed strategies leading to the turnaround at Paragon, is proof of the portfolio’s ability to withstand challenges, and stand the test of time. We believe the deal to be value accretive to SPH REIT. Assuming an acquisition cost of S$500m for The Seletar Mall, and a 30/70 equity/debt funding mix, we estimate that the acquisition (if it materialises) could boost SPH REIT’s DPU by 5% p.a. Under this scenario, the REIT’s aggregate leverage would be pushed to 32% vs 26.3% currently. Given ample debt funded capacity, a higher debt-funded acquisition would lift DPU and share price up further. Interest rates risk. A higher and faster projected rise in interest rates could be dampener to DPU estimates. 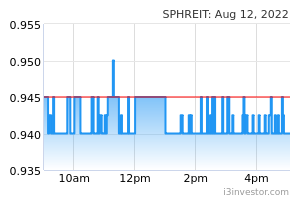 SPH REIT has however proactively swapped in a substantial portion of debt into fixed rates. FY18 DPU of 5.54 Scts (+0.2% y-o-y) in line. SPH REIT’s 4Q18 revenues grew by 0.2% y-o-y to S$53.5m on the back of higher rental income from Clementi Mall and maiden contributions from The Rail Mall, but higher operating expenses – mainly due to higher property tax and maintenance costs - resulted in lower NPI of S$41m (-1.9% y-o-y). Cushioned by lower write-downs of intangible assets during the quarter, SPH REIT reported a 7.7% increase in net income to S$29.2m for 4Q18 and DPU of 1.43 Scts (vs1.42 Scts a year ago). Trends were broadly similar on a full year basis. FY18 DPU came in at 5.54 Scts (vs 5.53Scts for FY17), in line with our forecasts. Payout ratio was maintained at 100%. While portfolio occupancy dipped slightly from 100% (4Q17) and 99.6% (3Q18) to 99.4% in 4Q18, operating performance for SPH REIT’s portfolio assets had generally improved. Portfolio rental reversions, while still negative on a cumulative basis, moderated substantially from -10.6% in 1Q to -3.5% by the end of 4Q18. This was mainly driven by the recovery in retail sales at Paragon, leading to a reversal of negative rental reversionary trends for the assets during the quarter. Clementi Mall also recorded a positive rental reversion of 3%. Underlying sales trends also suggest that rental reversion prospects could be brighter ahead. Tenant sales at Paragon and Clementi increased by 2.7% and 2.2% y-o-y to S$693m and S$230m, respectively. Occupancy cost at Paragon also improved to 18.3% vs 19.6% a year ago. The Rail Mall, which is set to deliver its first full-year contributions in FY19F, further adds to SPH REIT’s DPU growth profile. Potential acquisition of The Seletar Mall could take longer to materialise. While we believe that the acquisition of The Seletar Mall would be positive for SPH REIT, recent shareholding changes at United Engineers Limited (which holds a 30% stake in The Seletar Mall) raises uncertainty over its projected timeline. As such, we put The Seletar Mall acquisition on the back burner for now to focus on the REITs organic growth outlook, particularly value-add opportunities for The Rail Mall. After stripping out contributions for The Seletar Mall, and partly offset by expectations of higher rental income from its existing portfolio, we cut our distribution income and DPU projections for FY19F-20F by 10% and 5%, respectively. Despite this, DPU is still expected to grow at 1-3% p.a. over the same period. Our DCF-based Target Price is lowered to S$1.04 as a result. Including prospective FY20F yield of 5.9%, SPH REIT offers potential return of 12%. Maintain BUY. Acquisitions (locally or abroad), if they materialise, offers further upside.